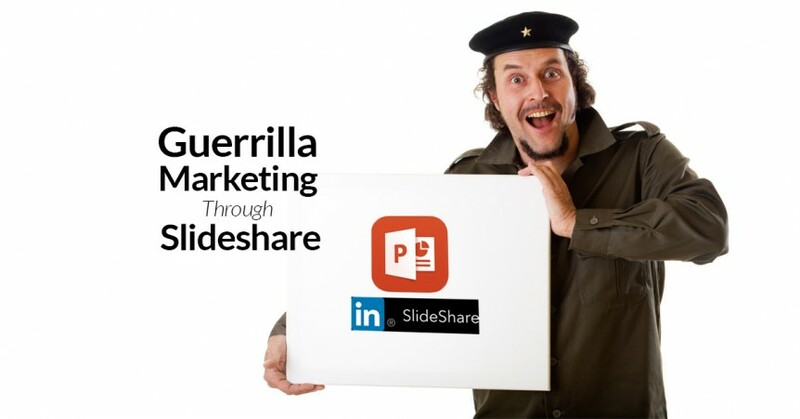 So you want to build a mailing list and one of the avenues you plan to use is Slideshare. But from previous experience, you know that most Slideshare productions gain the equivalent traction of ice on ice. But there is a sweet little method that can pop your creation onto Slideshare’s radar that the Grow the Dream Show boys discussed this week. You need to make your presentation stand out, which requires that it get a stand-out amount of traffic quickly. To do so, you can employ a cousin of the Facebook hack we wrote about last week that gooses your views and likes cheaply. Choose a topic related to your product or service that would be relevant to your target audience. Research the topic and summarize your research in 15-20 bullet points. You don’t have to originate the content, just make it your own. Build your presentation in Powerpoint, using one bullet point for each slide and one quality image. Include links in the presentation. Then, and this is key, use promoted tweets to send traffic to the newly posted Slideshare presentation, by embedding the Slideshare in your tweet. When it shows up in Twitter feeds, even without a click, it counts as a view for Slideshare, thus goosing your views. Slideshare does not know you paid to promote it on Twitter, but it sees all of the traffic and then highlights the presentation organically. Voila! You are getting free exposure and views on Slideshare with minimal cost from Twitter promotion. This idea comes from Mitchell Harper, the founder of Big Commerce and now launching Capital H Labs, who wrote a Medium article entitled, “How I got 50,851 views on Slideshare and 706 email subscribers for less than $350.” Slideshare is only one of several avenues Harper is using to promote his new product pre-launch. If you use Slideshare, remember you need to create an opt-in option on the presentation, something that is too frequently overlooked in Slideshare creations. Not doing so is a missed opportunity, because Slideshare is a great place to collect leads — so much so that Slideshare now has its own easy button, so to speak, for collecting leads.